There are currently 40,000 hairdressing, barbering and beauty businesses in the UK. However, registering under the Register of Qualified Hairdressers is entirely voluntary in the hairdressing profession. The Hair and Barber Council believes state registration should be mandatory to ensure hairdressers meet the high standards set by a professional body. The registration also helps to ensure that clients aren't given poor service. After expressing these concerns to MPs the council is now calling on the government to change the law on hairdressing registration. In a report of 2000 people surveyed, 70% of respondents said they would be concerned if their hairdresser or barber was not properly trained and qualified. Llanelli MP and Shadow Wales Minister Nia Griffith recently led a debate in parliament asking the government put in place compulsory state registration for all hairdressers. Before I found a great hairdresser (although I hadn't had a terrible experience per se), I hadn't been overly impressed by the service I received. I had tried hairdressers at different price points, brands and salons but never felt that they understood what I wanted. No matter my desires, I seemed to come out each time with a few blonde highlights. Even upon paying more to be seen by a salon director, I was passed from person to person and never enjoyed the salon experience. Then I found Christopher Fox, who truly makes going to the hairdressers a delightful experience. Fox is a L'Oréal colour specialist and owns his own salon, so each appointment is private; it's only ever himself and an assistant present (with you as the only client in the salon). Chris always insists on a consultation and spends time at my appointments asking all about my routine. He also asks which celebrities' hair trends I do and don't like and the products I use every day. Since I trust him with my tresses, I sat Fox down to get the inside info on what one should be looking for in a hairdresser. Read on to find out all you need to know about picking out the right hairdresser. Fox explained, "A Level 2 qualification is the minimum standard required to cut and colour hair unsupervised. This takes two years to complete. Level 3 is the requirement for a senior stylist and takes a year to complete. Level 4 is moving more into the business management side and doesn't necessarily mean a person is more skilled than a Level 3 hairdresser." I asked Fox if he thought mandatory registration as a hairdresser would be a positive step forward, and he explained that it's not something that he is opposed to. He went on to say that "if you are doing your job right, you shouldn't have anything to worry about." I also asked if people tend to get bad haircuts or colourings because they're trying to save money (and thus go to budget salons). Fox explained that he does see a lot of clients for colour correction (usually if they've gone for a big change such as going from very light to dark) because the colouring has gone wrong. Similarly, if they have tried to change the colour themselves at home. It seems the DIY way might be okay for a few highlights or slight colour change but not for going from black to blonde using a box dye. Fox told me that a good hairdresser is "somebody that listens to you and takes the time out to listen to what you want. You do, however, need the combination of a good hairdresser and a good salon. What I mean by that is a salon owner (whether hairdresser or not) is key, as this is how the salon is run. You can often find good hairdressers, but the business needs to be set up to allow the time hairdressers need with a client. This can't be rushed to simply get as many clients as possible through the door." He also told me that a good hairdresser should have great product and trend knowledge. He is adamant about the importance of a patch test. "If you are getting a colour treatment, you need a patch test beforehand. If this isn't mentioned, I would say demand one. If a salon is not patching-testing, it, unfortunately, means they do not care about your welfare. It is rare but people can react badly to colour, so no patch test should be a red flag. You have to ask how desperate hairdressers must be for business if there are willing to risk your health and their business by cutting corners. It is much better to take the time to have a patch test even if it seems like a nuisance." This is your first step to finding a good hairdresser—it's your chance to feel things out. Fox says, "We always offer a free no-obligation consultation and crucially, not on the day of your appointment. A consultation is your chance to see if you feel the hairdresser understands what you want." He also recommends booking the consultation in advance so that you'll experience a smooth visit. Fox warns that consulting right before the appointment ends up with people "agreeing to something they don't want just because they are there and want something done that day." He also says that a good hairdresser will also manage your expectations. "Particularly with colour, it is a chemical process and there is only a certain amount of time you can leave a colour on the hair," says Fox. The importance of communication in a consultation will allow for the hairdresser to determine how long a cut or colour will take. He advises clients how often they'll have to come in to maintain a style. "Some clients don't realise what they want may mean coming for an appointment every month. That can then factor into their decision," Fox explains. In the consultation, Fox looks at the hair as a technical analysis. He examines the natural colour and depth then formulates a colour list. Fox explains, "This is the service you are paying for when you book an appointment with a colour specialist. I also look at the velocity of the hair—how easily it will absorb colour, the elasticity of the hair (how strong are the bonds are) and the percentage of grey, as this all affects how the colour comes out. I talk to clients about the colouring of their skin and the colours and makeup they wear day to day. This is important for your hairdresser to take into account. We take notes, so if a client does choose to book an appointment, we know exactly what we're going to use and the amount of time it will take. This is the sort of service you should be looking for." I told Fox that I wouldn't ask a hairdresser what their qualifications were, and he said, "Why not? If somebody has the right training, they won't be offended. You might ask someone else for their experience when giving them a job, so why should hair be any different? At the end of the day, you are paying for a service and deserve it to be right." When looking for a salon, Fox says, "Do your research. Look for someone in the speciality of what you want and your hair type. If you love getting your hair up and want it put up every other week, look for someone who specialises in that." For those who want a specific style, such as a balayage, Fox stresses the importance of seeking out a specialist in the specific field. "In general, a recommendation is always good, but if not, type into Google 'hairdresser', your location and, say, 'ombré specialist.' Some links are paid, so they will be to the top—but that doesn't necessarily mean they're the best. Look at reviews and images; before and after pictures are ideal. I'd be wary of someone who says they specialise in a certain trend but all the images are of models or celebrities. Whilst it's great to see a few of those for inspiration and to introduce a trend to clients, pretty quickly I'd like to be seeing that speciality shown in a client picture. I would always want to see real people's hair done by that hairdresser or salon. That is probably the best evidence unless it looks heavily edited. I take my images in the same chair in the same light, so people can see it's the same person—no fancy lighting needed." Fox also recommends viewing reviews on certain hair salons and hairdressers. "Treatwell is a hairdressing review site that is worth checking out, similarly to Trip Advisor when you look for a holiday. Everyone will have one bad review (I don't think you could find a hairdresser that doesn't), but look for recent reviews, plus pictures. A Facebook page is also a great one to look at when choosing a salon for reviews and images that may not be included on a salon's website," he says. DOES A TOP SALON MEAN A TOP HAIRDRESSER? "Not necessarily," explains Fox. "Just because it's in the city centre doesn't necessarily mean it's good. A good indicator is to look at the brands used in the salon. For example, I have Caviar Haircare and Olaplex used in my salon. Big brands won't just put their products into any salon—they do their research on the hairdresser and also insist you do training with them so you know how to administer and recommend the product." Fox explains that the rise in social media may be deceiving some. "Whilst it can be brilliant for inspiration, it means people are seeing images that are heavily edited," he says. "I have been brought the same image by different clients of a model, each time with different brightly coloured hair, which has been changed by Photoshop. It's great to bring inspiration pictures, but just be aware that whilst we can take inspiration from that, that isn't how that person looks in real life. Even if an image is not edited, lighting is a huge factor, and often in social media posts, the walls (for example bright white walls can reflect the light) or reflectors used by photographers can make the hair look super shiny or a unique colour in an image. Again, this wouldn't be what the human eye sees," explains Fox. "I also see a lot of social media posts that are actually adverts for hair extensions. Many images sent to me from Pinterest, I have to make clients aware that the link is to a hair extensions site, as it's often not as clear. Many hair imageries also omit to disclose the use of clip-in extensions. Again this gives clients an unrealistic expectation of what they can achieve," warns Fox. Another thing to consider, Fox says, is the origin of the image. "A lot of hair imagery used for inspiration is coming from the United States. They have completely different colour laws and regulations to the EU. Even from the same brand, a tube of colour from the States will be different than the same brand in the UK. The PPD levels (paraphenylenediamine used to colour the hair) are much lower here. So if you see a picture where hair was black and changes to blonde—like say, Kim Kardashian's—that can be why," says Fox. "Ideally, only book a hair appointment—particularly for a colour—if you have the time to spend at the salon without having another obligation in a tight time period," Fox says. "Whilst we know about the time it will take, you can't ever guarantee. You don't want to be worrying about the time or panic your hairdresser into rushing. That's when mistakes are made. Make the trip a pleasurable and relaxing experience." Fox says that a consultation "will ensure there's no disappointment with the result. We also tell the client exactly how much it will cost on the day." I then ask Chris if not knowing a price would be a red flag. He explains that hairdressers should outline their standard price list and should be able to give you an idea of cost at the consultation. He tells me, "If you go to a colour specialist, you will probably have extra services you haven't been used to doing at another salon." Fox tells me that hairdressers should charge according to how much time and product they'll need. He says that clients will often pay "to get exactly what they want instead of paying less many times over but never being happy with the result." "I charge based on my experience, the products I use and the salon. You are going to pay more in London because of the rent costs to the salon. That's just the way it is at the moment. You will pay more for the expertise of a colour specialist. 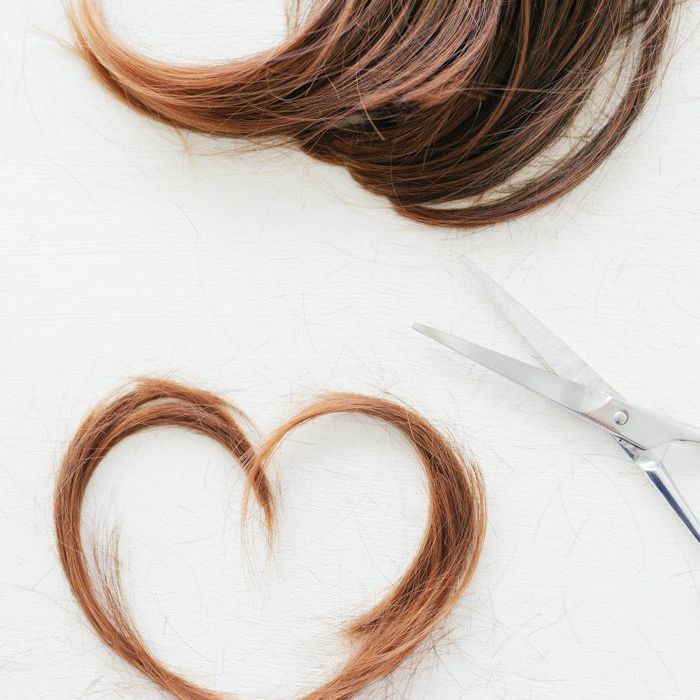 If you just want a simple trim and tidy-up or a few highlights, you should be fine to go with a less qualified stylist after a good consultation. If you've had problems in the past and your hair never comes out the way you want, it would be worth paying more to see a colour specialist rather than keep paying middling prices over and over but being disappointed every time," says Fox. I then asked him about salons that grade their prices depending on experience, and he explains this could be a good way to go. What that means is booking with a mid-priced junior stylist can be cheaper, but always make sure that there is someone more experienced around that they would be able to get help from should anything go wrong. "Even though I mentioned premium products being used in a good salon," Fox says, "don't be put off thinking they will be expecting you to spend a fortune on products. Just think, 'Even if I'm not going to buy the products, won't it be lovely to have these used on my hair during my treatment?' Again, going back to the consultation, I break down the cost and tell people to go and think about it. This gives people a chance to think about what I've said, and it also stops any embarrassment. You can choose not to come back—you're under no obligation to book. You can always phone a hairdresser and say, 'I've been thinking and I would like a colour but without Olaplex,' for example, so that can bring the cost down." Even with costs varying, Fox recognizes that not all clients can afford to get their hair done frequently. He says, "I do appreciate that not everyone can afford to spend money on their hair." He notes that "£100 to one person means something different to £100 for another person. On the other hand, hair is the one piece of fashion you never take off—you wear it every day. You can buy the most expensive dress, but if your hair doesn't look good, the look can be ruined. People will happily spend money on a night out or expensive perfume and not on their haircare. But it's such a central feature and one of the first things people notice." On this, Fox says, "Everyone has to learn, so there is always going to be a need for hair models. Plus the educators will be there to look over the trainee's work. You should still have to go for a patch test and have one of the educators assess your hair. The crucial thing with hair modelling is that they should specifically be asking for a certain type of hair colour or length. For example, mid brown looking to go darker. Only go if you fit the description. They have to learn a specific skill at a specific time, so, unfortunately, it's not a chance to get any look you want. You also don't have the comeback you do as a paying customer if you don't like it—so it is a slight risk." WHAT IF YOU'RE UNHAPPY WITH YOUR CUT OR COLOUR? Fox says that the best thing to do (although it may seem awkward) is to "explain to your hairdresser on the day. Then they can look at what they can do. Again, this comes back to a good consultation. If you do a consultation well, this shouldn't really happen. However, of course, you can do a colour or cut and it can come out exactly as you predicted, but that client simply doesn't like it on them. I do say that after a colour, the hair usually needs about two weeks to rest. Plus if it's a drastic change it can be a case of getting used to that change. It's very rare, but what I say is if the colour hasn't come out as we expected because I've done something wrong technically, I will obviously fix that free of charge. That should be the case with any hairdresser offering their services." The bottom line? Get researching and reading reviews. Remember that whilst Insta and Pinterest may give you inspiration, they may not be all that they seem. Up next: Multi-masking for your hair is now a thing.